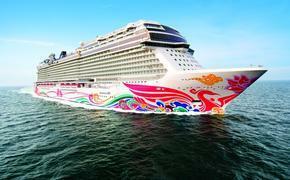 Which Cruise Lines Are Best of the Best? For the 10th year, reviews and community site Cruise Critic has revealed its Cruise Critic Editors’ Picks Awards as selected by its international staff. “More now than ever, there really is a cruise for every interest,” said Colleen McDaniel, Senior Executive Editor of Cruise Critic, in a press release. I have also had the rare chance to sail onboard the ship ahead of its christening, and I must concur with this glowing assessment. It is primed to be a game-changer. The site also mentions the significance of Celebrity Cruises leading both the Best Cabins and Best for Romance categories just as Disney Cruise Line swept Best for Families as well as Best Entertainment. I believe Celebrity will maintain each in 2018 with the highly anticipated Celebrity Edge looking to underscore its superiority. Disney is without a doubt a family and entertainment force to be reckoned with outside of the cruise industry, so of course, the company dominates at sea as well. Carnival Cruise Line impressively took Best for Value for the fourth consecutive year and also this year’s new Best Service category for the first time. Initially, you might think that service would be bestowed on a luxury line, but an entire set of awards was reserved just for that market segment. Cruise Critic cites Silversea Cruises’ Silver Muse as “offering nearly everything a luxury cruiser could crave” as the reason for its Best New Luxury Ship win. While I have not yet sailed onboard, I agree with the line’s Best for Adventure victory thanks to its wonderful expeditions label. 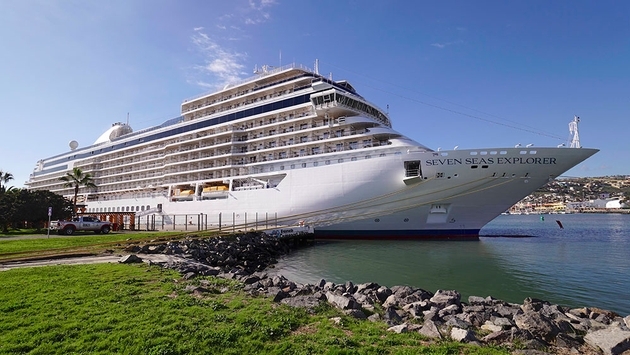 Meanwhile, Regent Seven Seas Cruises took the crown as Best Luxury Cruise Line overall in addition to winning Best Cabins. Having experienced the brand’s newest Seven Seas Explorer, I can attest to the ship’s magnificence extending to its super comfortable suites. The line’s inclusive shore excursions are surely also a contributing factor in considering its high status. Carving out a unique niche for itself is Viking Ocean Cruises, which received the awards for Best Spa and Best for Value. Indeed, the line is special for offering luxury products and services for a remarkably low rate. Like Regent, it too offers complimentary tours. AmaWaterways was highlighted by Cruise Critic for receiving the Best River Cruise Line award for the second year running as well as Best for Active Cruisers. The site specifically refers to the line’s “continued dedication to innovation” for the big win. That includes its partnership with Adventures by Disney, which itself took Best for Families. I can personally say that Disney aboard the AmaKristina is an exceptional river experience as only both brands can pull off. The site also called Uniworld’s Joie de Vivre the Best New River Ship as the company’s “finest yet” while giving the line the award for Best Service. So far I’ve only sailed on Uniworld once—aboard the Joie de Vivre, in fact—but the brand and riverboat made a similarly lasting impression on me. Rounding out the site’s river award highlights, Viking River Cruises won a trio of Best for First-Timers, Best Shore Excursions and Best Enrichment. Again, it’s hard to disagree as Viking is so ubiquitous that there is plenty of choice for anyone wishing to dip their toes into the river market. Its tours and programming overall are fantastic.